1.1 What is Ambient Display Screen? Enable Ambient Display Android Device Android, One of the best most customizable and Coolest Features of Operating System in these days. You can easily customize, enhance new features on Android Device easily. That’s Why It makes better that any other OS like iOS. 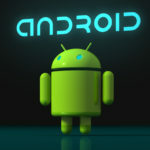 I am Personally Android user, Who love the features of Android smartphones. 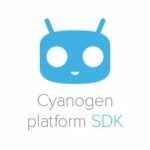 The most and important thing is you can add the features of your choice on your Android phone with the help of some useful Android apps these days. 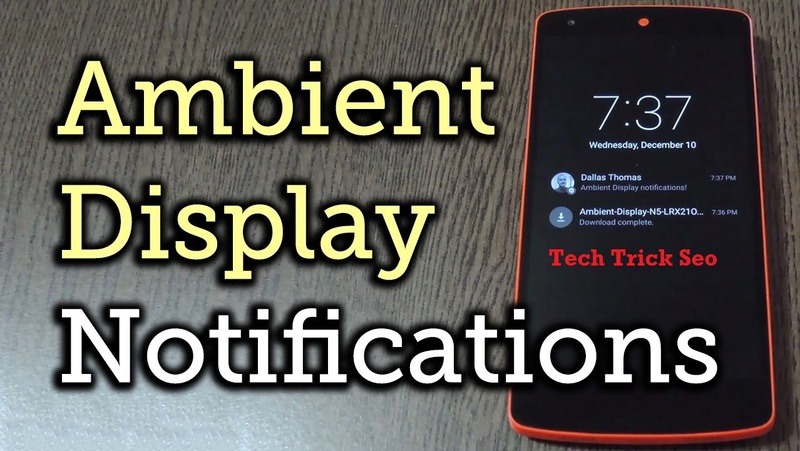 So Guys, Today I have share with you how can you add ambient display feature on your Android device easily with the help so Some Simple Android apps. 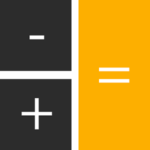 We was also shared about Trace Mobile Number App Download This feature is also can be seen on Some Flagship Android devices, Which costs a lot of money. 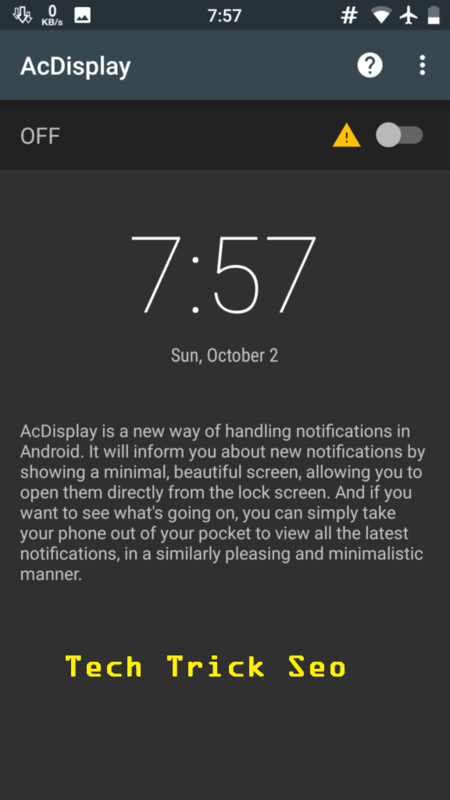 Ambient display feature is one of the coolest features in the Android lollipop version by which users can easily read their Android notifications on the locked screen. 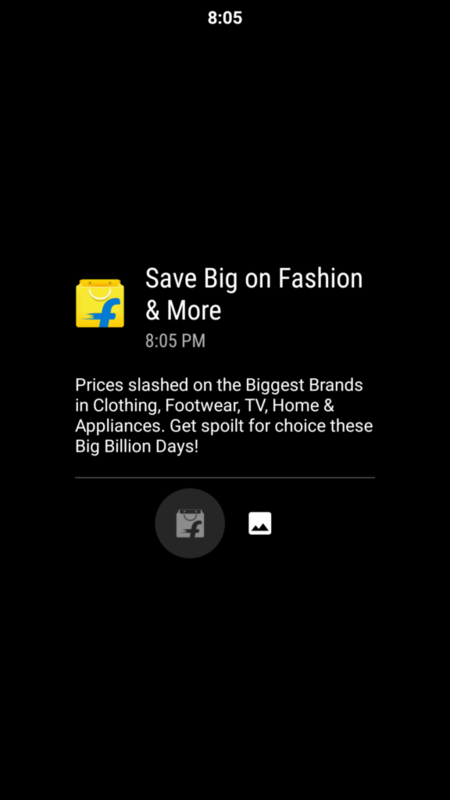 It’s time to add Ambient display feature on any Android mobile. Below I have mentioned here one of the best methods. 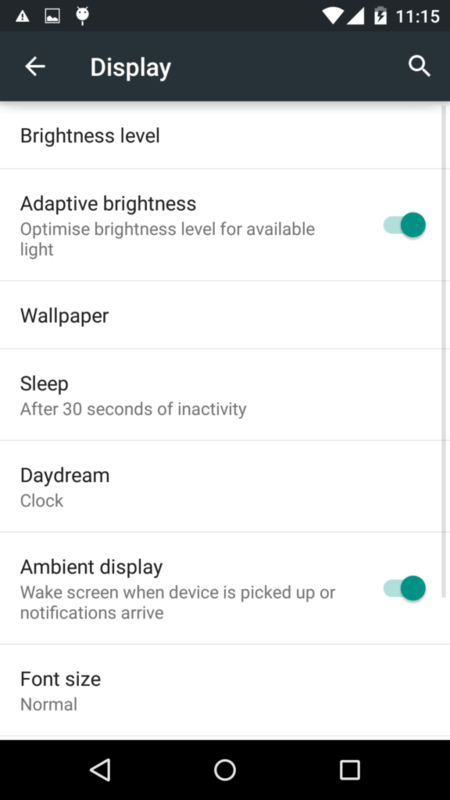 If you would like to add this ambient display feature on your Android smartphone, then you can simply follow this easy guide and Go through the post to know about for enable ambient display feature on any android device. Enable Ambient Display features on Any Android Smartphone In This Guide, I have explained the best methods to enable ambient display feature on both rooted & non-rooted Android device. 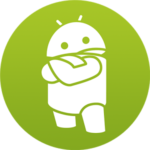 Also Checkout Root Any Android Phone Without PC. 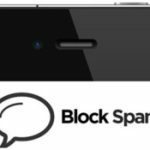 Also Have a Look Best Ad Blocker apps for Android. 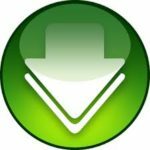 If you have any rooted or non-rooted Android, then you can follow below easy guide. 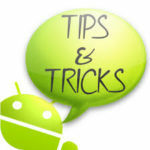 It will help you’re to enable ambient display feature on your Android device easily. I have explained here very easy steps by steps method with also Screenshots. So you can follow very carefully each and every step with some screenshots and enjoy this Tutorial on your Android device. What is Ambient Display Screen? 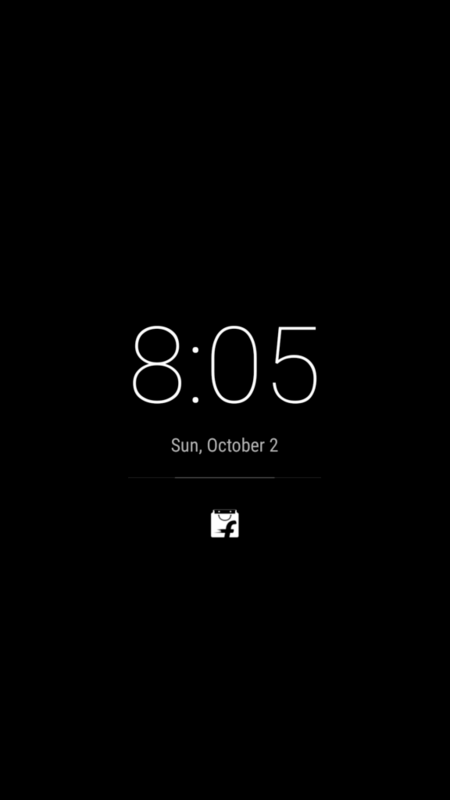 The ambient display mode is a feature that was introduced in lollipop by Google. It Wakes to the devices when it is picked up and light up the display for a few seconds when automatically latest notifications will come. 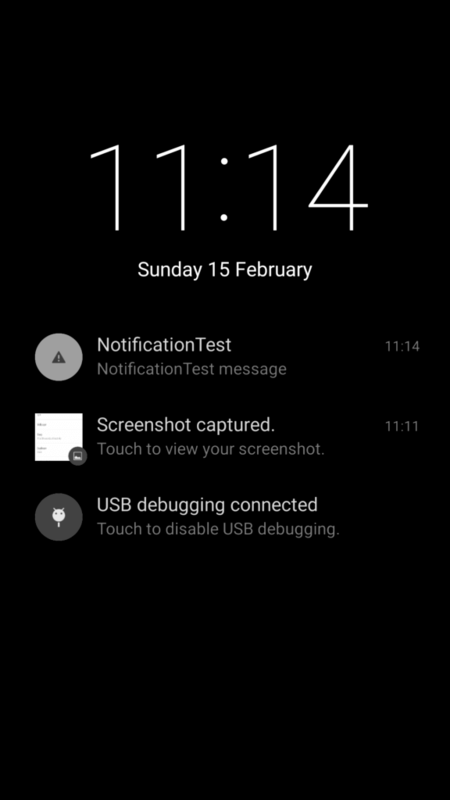 And It will show the notifications on the lock screen of the devices and you can simply read all notifications without unlocking your mobile phone. Let’s take an example given below. You Thinking about I am having a device I which Ambient Display feature is turned on. Now, Suppose I have received the some messages and at that time I am busy for a moment. I will remove my mobile phone from pocket and check the notifications without unlocking the phone. This feature was is introduced first in all the lollipop android device version which is the one of the best feature given by the Google. If not available for your device. Let’s look at the below Guide. 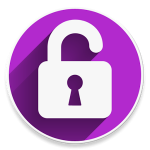 You can easily read your all notifications from your Android device without unlocking it. Whenever you get any notifications on your Android device, it will easily turn on your device’s screen and show your all notifications there, So you don’t need to turn on your device’s screen for view the all important notifications. Don’t forget to have a look at Set Full Size WhatsApp DP Without Crop. I Think you may have already listened to this feature on one of the Samsung Flagship called Samsung Galaxy S7 Edge. Yes, you can easily add that feature on your Android device right now. 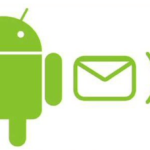 So Simply you can follow below all easy steps for enabling Display feature on Android Device. If You have don’t any rooted android device and you want thinking about how to enable Ambient Display Feature on Android device, then you can simply follow these simple Guide. 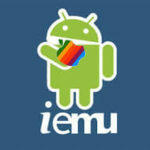 It will help you to enable Ambient Display Feature in Android Device Without Rooting it. After Successfully Download / Install This app on your Android Device, Simply open it and click on the Turn on button top right corner. 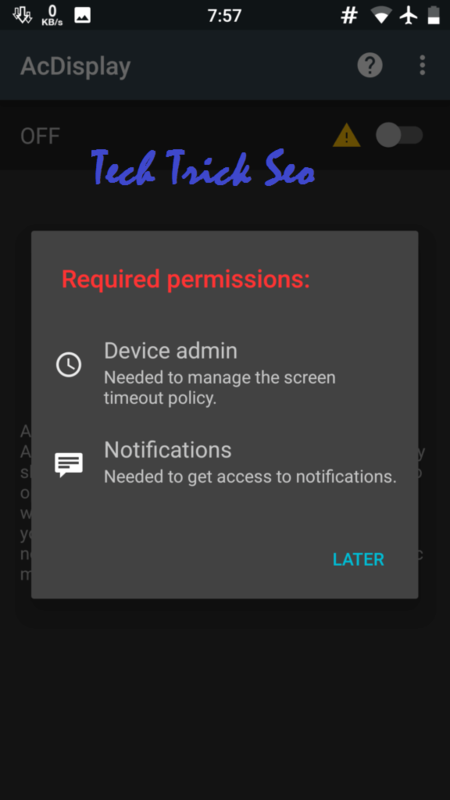 This application will ask you some 2 Permissions, Device Admin & Notifications, But don’t confuse You can simply click on it and allow them One By One. After Successfully, Allow these 2 permissions, Simply you can Select on Turn on Button again from the top right corner of this app and simply enable it. Now Just Lock your Mobile Screen’s, and it will show your all new Notifications without Unlocking your device. Below is the demo of Ambient Display from this app. 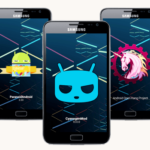 Do you have any Rooted Android Device ready with you? If you have a rooted android phone and Xposed Module Installed on your Android smartphone, then you can simply use the Ambient Display Feature on your Rooted Android phone too. Remember that don’t forget it If you have rooted android mobile, then you can simply use 1st method which is for non-rooted devices. But this 2nd method is only for the rooted device will work perfectly if you have rooted Android device. So simply you can follow below all easy steps right now from below for enjoying this ambient display feature on your rooted android device easily without any problems. 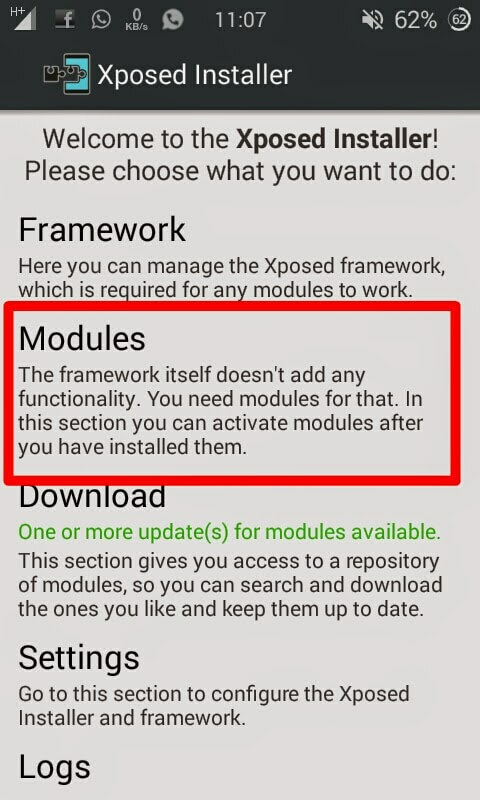 At, First of all you will install Xposed Framework on your Android Device. Then simply Again Download Enable Ambient Display Xposed Module on your Android device. 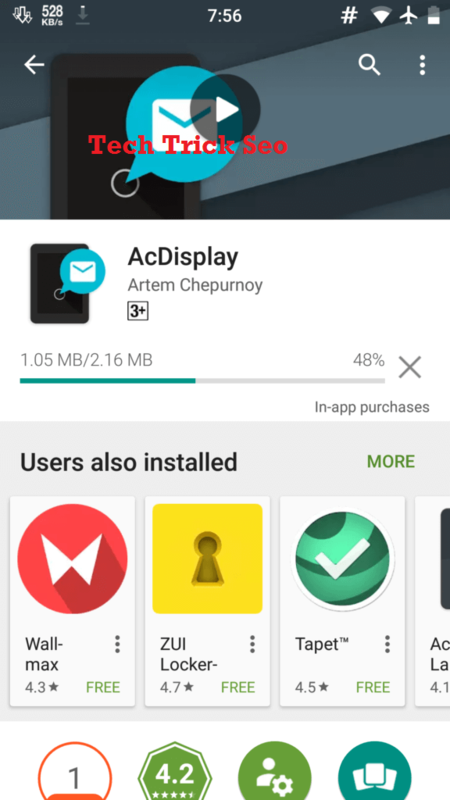 Install This Ambient Display app on your phone after download it, After successfully Install this application, Open Xposed Click on Modules and enables this newly Installed Module and Simply Reboot your Mobile phone. Now After Reboot your Device, Simply you will Goto Settings – Display – Enable Ambient Display Feature from here. Now You will get all latest Ambient Display Notifications on your Android device without Unlocking screen all The Time. So, Guys, This was the one of the easiest methods for Enabling Ambient Display Feature on android device without rooting android device. This app can help make your daily life Easier. 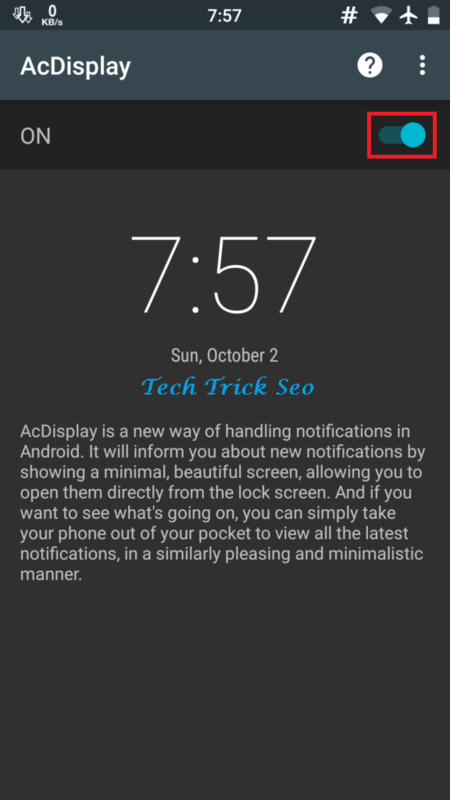 But Remember one thing, if you must remember that you must have to allow to show the all important notification on your mobile phone lock screen for make this feature work on your Android device. So, Guys This was the one of the best and easiest method enabling Ambient Display Feature on any android device without root and without any issues. 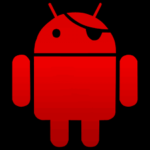 This feature can also work on most of the android device or without root access. Previously We was also shared How to Make Unlimited Gmail Accounts If you are facing any problems or issues regarding this post then simply you can drop down you feel free to comment below I will try to help you out. Thanks for visiting here keep visiting here again & again for more cool tricks like this.